What is a summer picnic without wine? I saw these at the supermarket the other day, and they seem perfect. 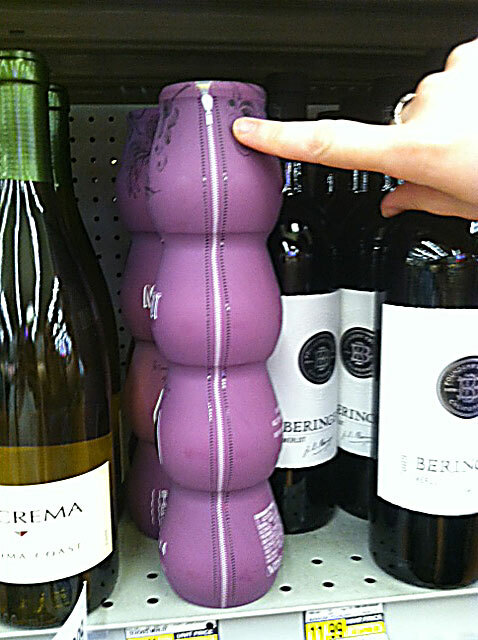 Four individual cups of wine are sealed and stacked in a plastic sleeve. Currently, Stacked wine makes Chardonnay, Merlot, and Pinto Grigio. The cups are actually a fancy sort of plastic, not glass, so they would be safe to take to summer concerts in parks or to the beach. Plus, I bet you could re-use the cups for individually portioned desserts or snacks, too. note the cute zipper down the side. ok, so I am a sucker for packaging…. 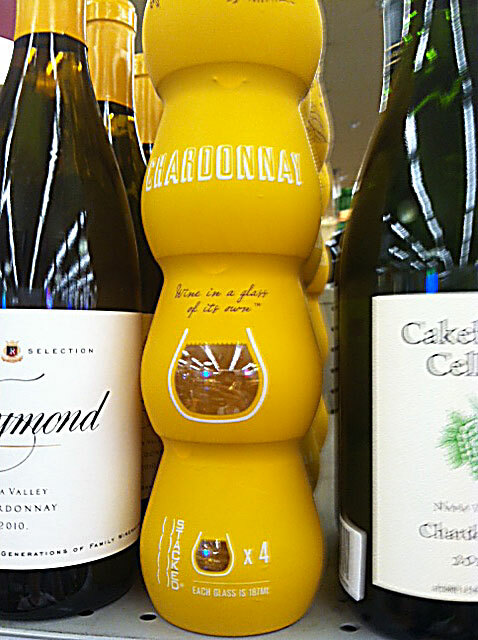 I paid $14.00 after tax for the Stacked Chardonnay at Gelson’s. I had to sample it, research, you know. Each ‘glass’ is a 187 mL portion, which gives you only 2mL less than your standard 750mL traditional bottle of wine. Flavor-wise, the chard tasted like what I would expect from a $12-$14 bottle. It’s not going to knock your socks off, but it also won’t interfere overmuch with anything you plan to enjoy with the wine. The chardonnay was a little buttery, not oaky, and had a nice hint of citrus. I could easily see this going well with any picnic food, from cheeses and salty cured meats to fruits and veggies. It would be great with cold fried chicken, too, which is my favorite picnic food…. For the slightly more celebratory picnic-ing occassions, I adore Francis Coppola Winery’s Sofia sparkling wine in the pink cans. Color me girly, but the packaging of these beauties cannot be beat. I’ll even pick some up for a ladies’ night in or a tuck them into a wedding day survival kit for a friend. Toss in a pitcher of fresh lemonade and a big bottle of water, and I think you have your picnic beverages covered. What about you? Tell me in the comments what you drink on a picnic! Posted in Hospitality and Home, Yum	Drink me! < Previous More Than You Ever Wished to Know About Lemonade….